Screaming Power is revolutionizing energy management and customer engagement by providing a mobile platform that painlessly connects the energy user with their energy data. This eastern Ontario-based company is demonstrating their innovative technology with Lakefront Utilities in Cobourg and the City of Toronto. Screaming Power integrates information from multiple systems and displays this data in a user-friendly format. This allows for effective communications that educates, changes behavior and encourages sustainability. The low overhead solution provides information sharing tools to help manage and report energy and greenhouse gas use. Currently Screaming Power has two solutions, Scream Utility and Scream Enterprise, that focuses on reducing ‘cost-to-service’ while driving user satisfaction and innovation. Screaming Power builds mobile solutions that focus on linking people and information together to easily manage Energy Conservation, Sustainability and Greenhouse Gas Emissions, while providing the means to connect and share this information. Over four years of research has gone into creating an energy management platform which allows managers and building owners to take control of their energy data. Screaming Power supports multiple energy and utility providers with their own custom branded solutions. Most recently, Screaming Power has supplied the City of Toronto’s Environment and Energy Division with their own custom application that seamlessly integrates seven different clouds. This app allows the users to collect, display and analyze information from over 1100 locations in the GTA which has accumulated over 135,000 energy bills that would otherwise be completely unmanageable. Screaming Power’s Scream Enterprise application uses detailed interactive maps, comparison graphs, real-time information and alerts, which allows the City of Toronto users the convenience to utilize their own data in a simple mobile experience. 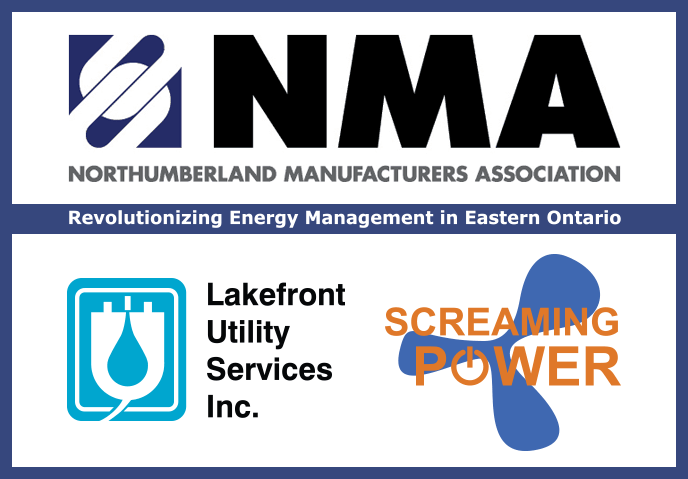 Screaming Power is also delivering a mobile solution to Lakefront Utilities that utilizes innovation and mobile technology to engage customers, communicate effectively, and deliver energy conservation programs / electronic energy data seamlessly. The Scream Utility solution empowers Energy Utilities to help themselves and their customers save time and money. With the assistance of Screaming Power, Utilities can provide their customer base with a user-friendly mobile experience that supports digitized information, delivery of bills, presentment, conservation, outage notifications and education while removing manual or paper-based processes. With a combined team of dedicated energy and software experts, Screaming Power’s infrastructure and proprietary machine-learning technology can do much more for organizations large and small. Part of Screaming Power’s success is due to utilizing multiple common datasets (internal and external to the customer), including the Ontario Ministry of Energy, Environmental Protection Agency’s (EPA) ENERGY STAR Portfolio Manager and Ontario’s Electricity Market Operator. Automating energy information processes is an important step to support innovation and creates links between Energy Users, Utility Companies and Energy Providers. Screaming Power simply delivers the information right into the hands of the energy user so it can be used conveniently, while supporting the reuse of energy information for the “Internet of Things” (IoTs) and Energy Management Systems (EMSs).